Foundations are foundations. It will cover what it needs to cover. But like everything else, we just don't buy the first thing we see on the shelf. We take a look, read what's on the label, the ingredients and test it out. Always, even when it's a gift. 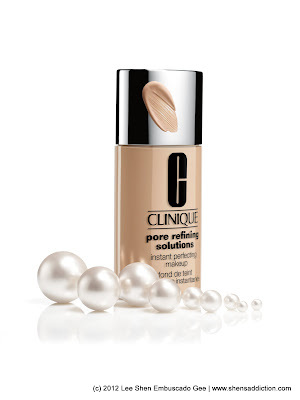 Recently, Clinique introduced a liquid makeup that delivers a nearly poreless look, instantly and over time.Introducing Clinique Pore Refining Solutions Instant Perfecting Makeup. And I got a chance to a sample of it. Now what makes this new foundation different from others? I asked the same questions myself. If you've ever tried anything from Clinique Pore Solutions line, you're getting the same effects from this new foundation. Sophisticated spherical optical diffusers and soft focus materials capture and diffuse light to immediately soften and blur the appearance of large pores. Refines skin and minimizes pores. Padina Pavonica Extract and Salvia Sclarea work together to build up the pore surface to helppores appear smaller. Salicylic Acid gently clears out dead and dulling skin cells that build up around the edges of pores, keeping pores clear so they don’t stretch out and appear larger than they really are. Laminaria Saccharina Extract minimizes sebum production that may cause pores to stretch. Since my concern these days are about my oiliness and excessive breakouts, I've been relying mostly on hypoallergenic or for sensitive skin foundations. And though I'd love to take a break from makeup all together, I can't. I need to look my best everyday at work and of course, when attending events. I have taken measures like eating healthier and doing extra physical activities to lessen the breakouts. But at this point, all I can do is hope. So far, Pore Refining Solutions Instant Perfecting Makeup has been a great help. It works well as a foundation and at the same time lessens the oiliness a great deal. Like Clinique Derma White foundation, I really like that this one also has that skin care / makeup duality but this time targeting pores. I'm actually relying on these two foundations right now. Another good thing about this foundation is the fact that it has Salicylic Acid which you all know is a great healing component for acne. Also, it helps mattify the skin immediately. Lasting power is quite impressive on air-conditioned environ, it's great for everyday wear for work. No kidding. But I don't suggest wearing liquid foundation, this or any type at all, if you're always out on the field. I suggest you use a mattifying powder instead (like the Clinique Superbalanced powder makeup), as the liquid tends to run on high humidity and extreme heat. Yes, this one doesn't hold up on humidity. Also, salycilic acid burns easily. Not a good thing if you're always exposed under the sun. I suggest wearing a sunblock with this, preferably something that's mattifying, too. 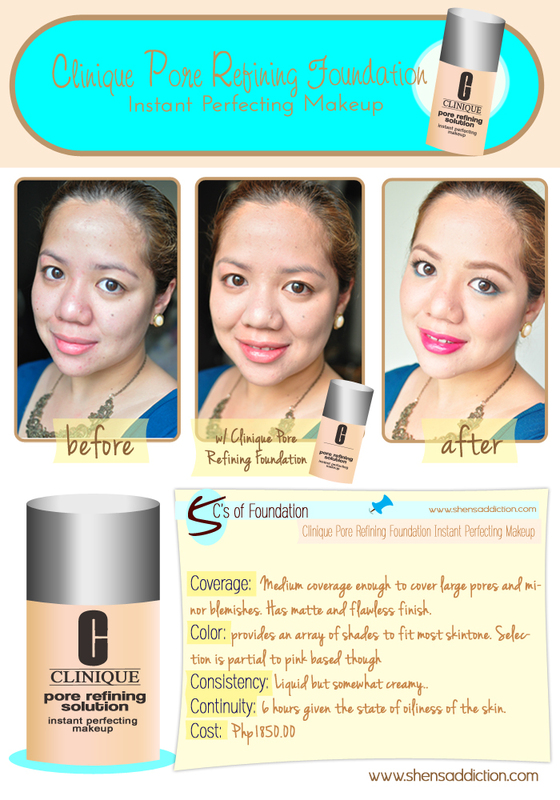 Overall, it is a great foundation, great for everyday wear. What I noticed, too, is that I'm doing my skin a lot of good when ever I use this. No breakouts, no comedones and it's pretty much a safe foundation for rioting skin. 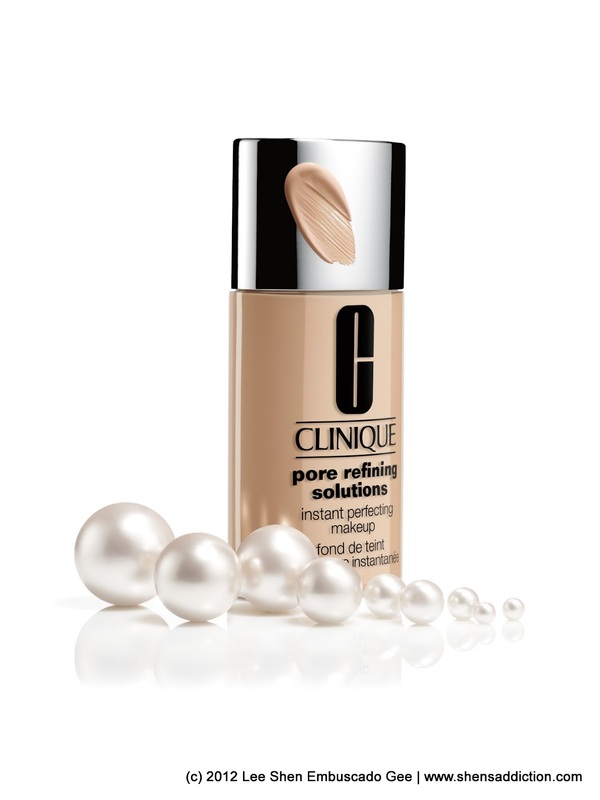 Who will benefit from Clinique Pore Refining Solutions Instant Perfecting Makeup? Those who are battling with large pores, oily skin, and pimples like I do. Those in need of something that won't worsen the state of their skin. Have you ever tried a foundation that's specific with the skincare need as this one?